Brakes, the leading European foodservice supplier, has today announced the launch of Brakes Scotland’s own list of locally sourced products, to coincide with Scotland’s national day. 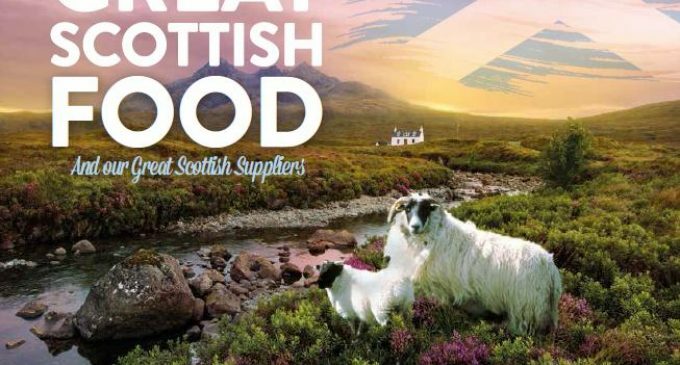 With a range including meats, poultry, fish, seafood and even ice cream, the list (pictured above) features a host of Scottish suppliers and additional support through insights into food trends and nutrition advice. John McLintock, Operations Director for Brakes Scotland, added: ‘Our team have built partnerships with over 60 Scottish suppliers, delivering the best quality products to our customers and helping their businesses to thrive. To strengthen the Brakes Scotland team, Sarah Mackie will join in the New Year to oversee procurement, and will be instrumental in helping Brakes to reach their objective – set by the Scottish Government – to double current spend with Scottish suppliers from £70m to £140m. With 170 lorries and 600 staff in Scotland, Brakes operates from four sites across the country, from Inverness to Glasgow. And from its newest depot now in Newhouse (pictured above), the company provides a fully multi-temperature service and brings strong foodservice heritage and great products closer to its Scottish customers. Main photo shows the Brakes Scotland team (L-R): Zoe Fraser (Senior Key Account Manager); John McLintock (Operations Director, Scotland); Chris Boyle (Business Manager, Public Sector); Brenny Hunt (Head of Supply Chain); Lorna Allison (Marketing Manager); and Paul Stewart (Business Director, Public Sector).